MPs and peers have said they may have been misled over UK troops' use of banned interrogation methods in Iraq. Not all troops had known "conditioning" techniques such as hooding and sleep deprivation were banned, the Joint Committee on Human Rights said. The committee had received assurances by a minister and a senior military officer that they did know. 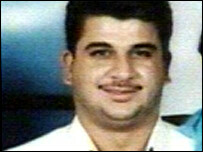 The use of such techniques emerged after the death of Iraqi hotel worker Baha Mousa in British custody in 2003. The government has said the public inquiry into Mr Mousa's death may address the concerns that were aroused. The committee said it had been given assurances by Armed Forces Minister Adam Ingram in 2004 and Lt Gen Robin Brims, Commander Field Army, in 2006 that conditioning practices were not being used. Conditioning techniques - banned during the Northern Ireland Troubles of the 1970s - include hooding, stress positioning and sleep deprivation. However, the committee said there were "discrepancies" between what they had been told and what had happened on the ground. The full details of what had happened to Mr Mousa and other detainees had not emerged when the committee was addressed. 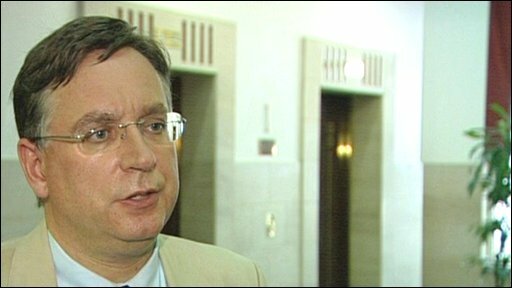 Labour MP Andrew Dismore, chairman of the committee, said he hoped the public inquiry would give some indications as to why they were given "wrong evidence". "And certainly when that inquiry is over we'll want to look at this again to try and find out what was going on and why we were told something different to what was actually happening on the ground," he added. The UK government announced in May that a public inquiry would be held into the death of Mr Mousa, who suffered asphyxiation and had 93 injuries to his body. Earlier this month, the MoD agreed to pay almost £3m in compensation to Mr Mousa's family and nine Iraqi men after admitting breaching human rights. Mr Mousa and the other men were arrested at a hotel where weapons and suspected bomb-making equipment were found. He died while in Army detention after being taken into custody in Basra in September 2003. Last year, Cpl Donald Payne was jailed after pleading guilty to inhumane treatment at a court martial. Six other soldiers were acquitted of the charges they faced. A report by Brig Robert Aitken in January said changes were needed to rectify serious flaws in the way soldiers were trained to deal with Iraqi prisoners. The committee said: "We have yet to receive an explanation from the Ministry of Defence for the discrepancies between the evidence given to the Joint Committee in 2004 and 2006 on the use of prohibited conditioning techniques and the facts which have emerged from the Payne court martial and the Aitken report." It demanded a "detailed explanation of the discrepancies" be produced as soon as possible after the inquiry. Last week Mr Browne announced the terms of reference for the public inquiry into the death of Mr Mousa. Mr Browne said: "Those terms of reference are sufficiently broad to enable the inquiry to conduct a thorough examination of the circumstances surrounding that death and the committee has acknowledged that many of the concerns it has raised in its report may be investigated by the inquiry." He added: "We acknowledge that in 2003 some of the conditioning techniques were used on a small number of detainees. "This should not have happened and we need to know how it came about. That is why I endorse the terms of the inquiry wholeheartedly." Mr Browne said that since 2003, "considerable improvements" had been made to the training and information given to soldiers about the "correct and humane treatment of detainees". "We have always been clear that we expect our forces to comply fully with international law. We will not tolerate anything less."